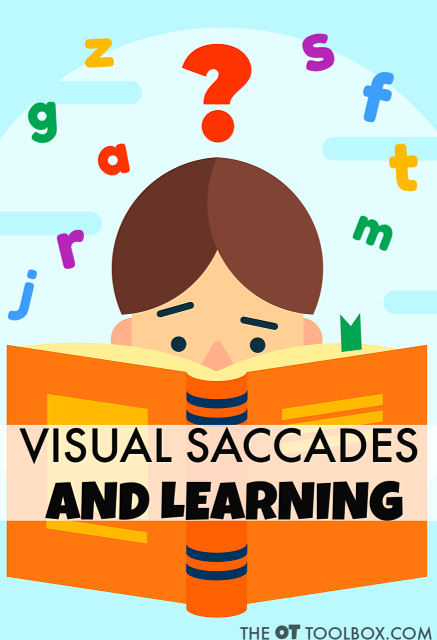 Read below to learn about visual saccades and learning in kids, including how saccades effect learning, more about what are visual saccades, and what saccadic movement looks like. You'll also find information on saccades and smooth eye movements and the visual processing needs that impact learning. 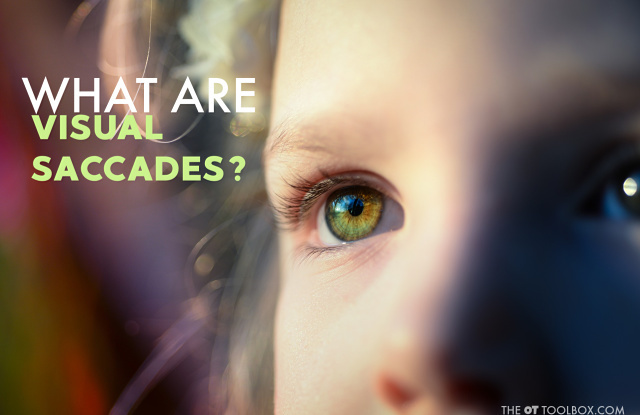 This information on vision can be helpful for the occupational therapist working with a child or student with vision related learning challenges as a result of visual saccades. 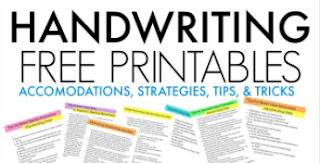 As therapists, we are often asked to provide consultation services to a child who cannot copy from the board, from one paper to another, frequently loses their place while reading, and has frequent errors in spelling and writing tasks, along with sloppy handwriting. These children are typically in first or second grade, maybe even third. They are good students who appear to be struggling for some unknown reason. An underlying vision concern may be the culprit of these student’s difficulties, with the underlying concern being impaired saccades, or visual saccadic movements. Saccadic movement, or more commonly known as saccades, is the ability of the eyes to move in synchrony from point A to point B rapidly WITHOUT deviating from the path. Typically, we look for these patterns to be established in left/right and top/bottom patterns as they are the easiest to identify. However, if the saccadic movement is not impaired, the eyes should be able to move in all directions in synchrony between two or more given points. Before moving on, I want to clear up the difference between saccades and smooth pursuits. These two are often confused, but are really very difference. Saccades and smooth pursuits are the two parts of eye teaming. Smooth pursuits allow visual tracking of a moving item while saccades allow synchronized, rapid eye movement between two or more given points such as in visual scanning. Impaired saccadic movement is when the eyes do not move in synchrony in a designated pattern such as left/right and top/bottom. They may jump randomly or move in uncoordinated patterns that can lead to confusion of where the child was previously in reading and written work. What Do Problems with Saccades Look Like? Below is a simple passage that we would expect a first grader to be able to read and what they might read with an impairment of saccadic eye movement. The black cat sat next to the pumpkin. The black cat liked the pumpkin. The black cat meowed at the pumpkin. The cat sat to pumpkin. The black cat liked pumpkin. The cat meowed the pumpkin. This example is a demonstration of the “jumping” that may occur when reading or copying a sentence. While the child was reading, they may have stumbled and corrected themselves realizing they were not in the right spot and missing words along the way. Children who present with impaired saccades ofen times are shy when reading out loud to peers and adults because of this. Impaired saccadic movements are very difficult to see in screenings. The most common presentation of impaired saccadic movement is slight jerks, or jumps at the midline or outer edges of field of vision. They are so small, that they can be missed or mistaken for a twitch. Despite their small outward appearance, impaired saccadic movement can have significant impacts on the child’s learning. In therapy or a classroom setting, having a child read the letters of a simple word search from left to right and top to bottom can provide an indication if they are unable to follow structured patterns with supports such as pointing with a finger, or covering up the lines under the one the child is looking at. 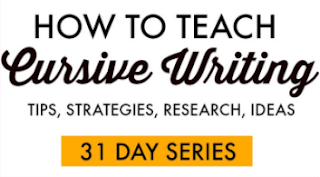 Here are some helpful strategies that can accommodate for visual problems in the classroom. It is unclear what causes saccadic movement impairments in children. It is clear however, that the child’s eyes have not learned to move in structured patterns between two points rapidly, which can significantly inhibit the learning process. Like many underlying vision concerns, screenings alone cannot determine impairments. 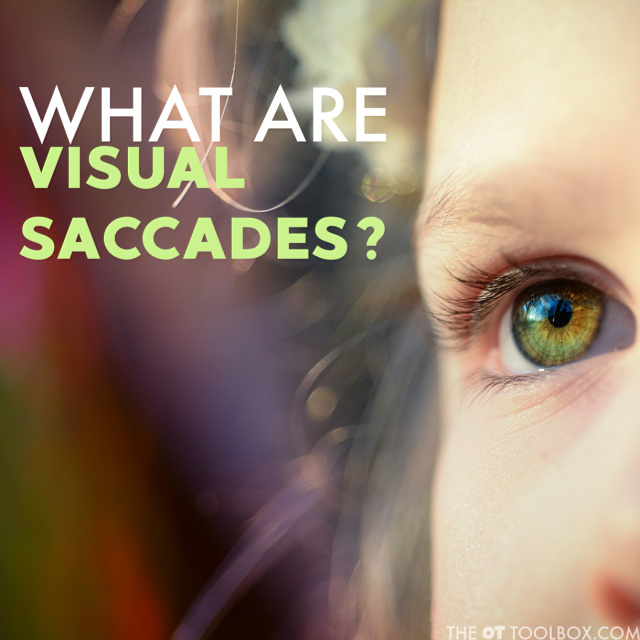 Saccades plays a crucial part in eye teaming, reading and writing. 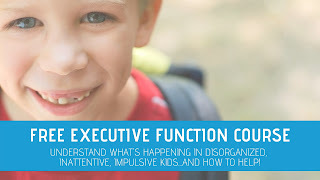 When it is impaired, the child may experience high levels of frustration, embarrassment and difficulties with their daily reading and writing tasks. Like many underlying vision deficits, impaired saccadic movements has many variations in presentation, and should be monitored closely by therapists and educators to ensure referrals to the developmental optometrist are made when necessary. Looking for more information on vision? 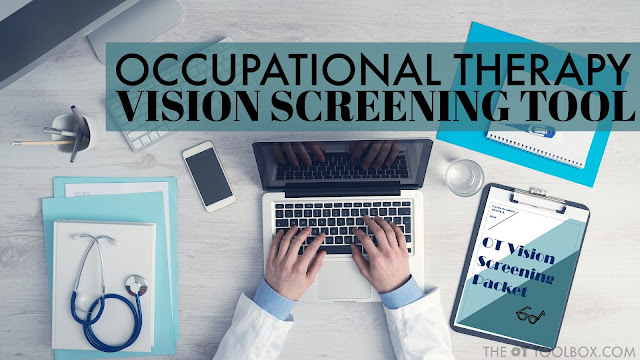 Check out my OT Vision Screening Packet for helpful handouts and a screening tool. 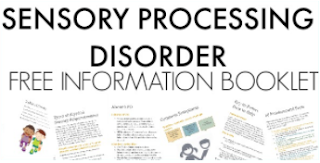 Click here to read more about the Visual Screening Packet.